When my little Pomeranian was just a pup, she chewed clear through the cord of my just-purchased-never-used-brand-spankin’-new nail gun. I might have cried a bit. I put the nail gun back in the box and there it has sat–useless and puppy-defiled—for almost a year. A few months ago, I decided I was tired of being without a nail gun so I went to Lowes to find a solution. Why didn’t I do this a year ago? All you need to buy is a new male plug like the one pictured below. 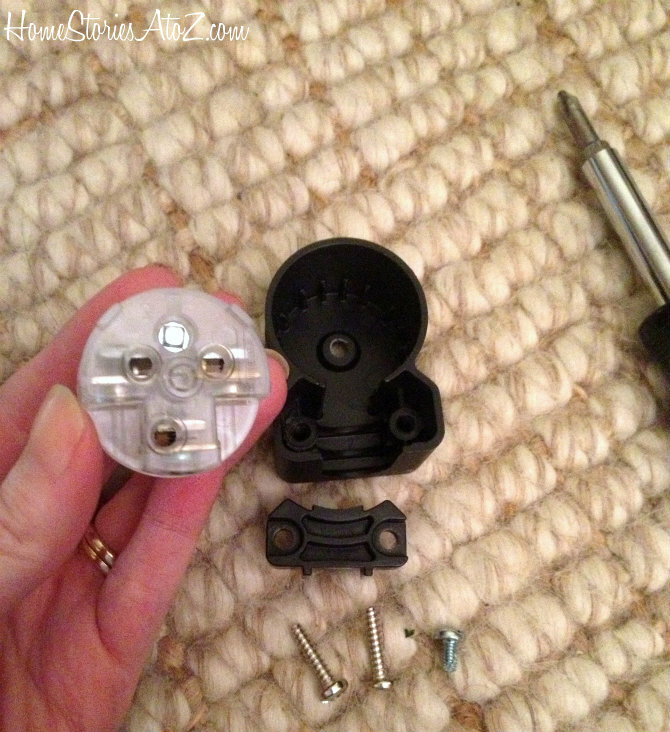 Step 1: Unscrew all of the screws on the back of the new plug and remove the center insert. Step 2: Obviously do not plug in the cord that you are working on. 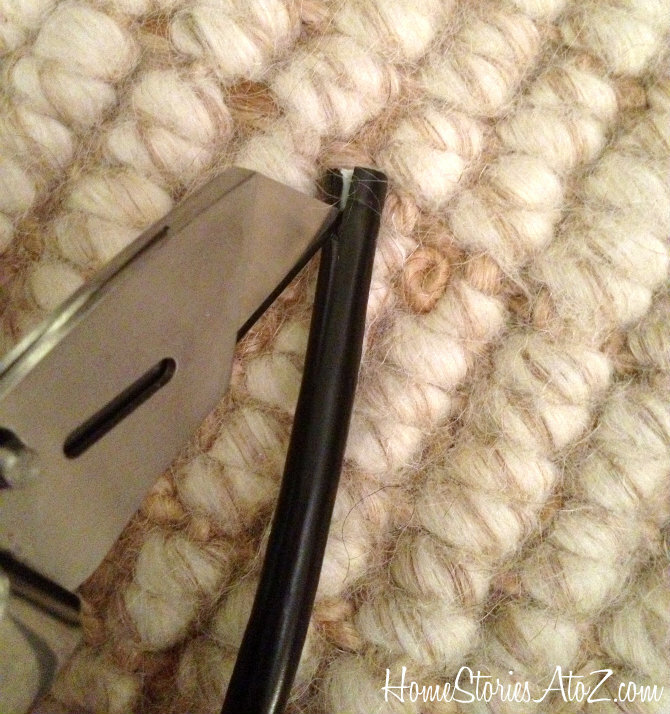 Check the cord for all damage and fraying and cut off all damaged cord. Step 3: Cut about 1 inch of the outer cable jacket with a utility knife. Use a light hand and be careful not to cut through the interior wires. Step 4: Inside there will be some papery insulation around three wires. Remove the papery stuff and separate each wire to make sure they will reach their respective holes. 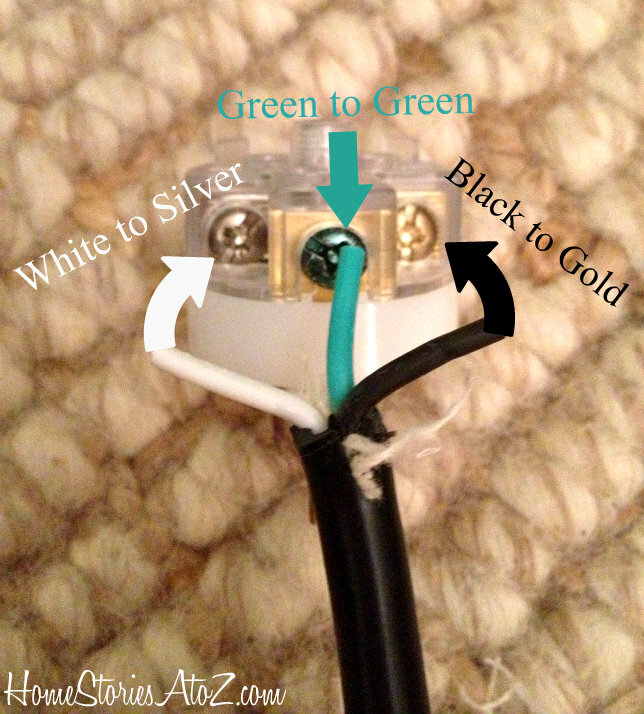 Remember that the white wire will be attached to the silver screw, the green wire to the green, and the black to the gold. It is very important to put the wires in the correct holes! 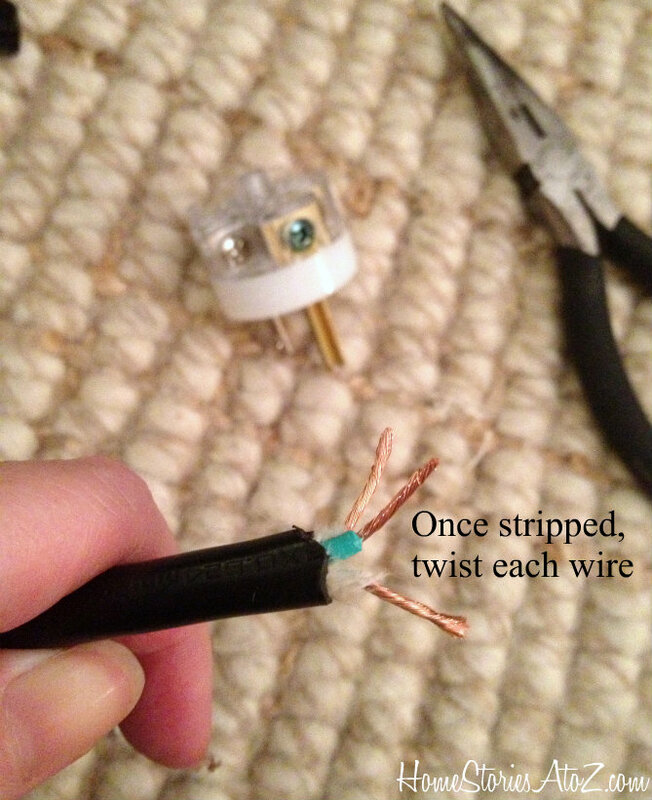 Step 5: Using wire strippers, carefully strip the insulation off of each of the three wires. Twist each wire end together to make insertion easier. Step 6: Place the white wire into the hole with the silver screw and tighten the screw with a screwdriver. The wire will catch on the screw and attach securely. Place the green wire in the hole with the green screw and the black wire in the hole with the gold screw and tighten each in the same manner. Tug on each wire to ensure that they are securely attached. 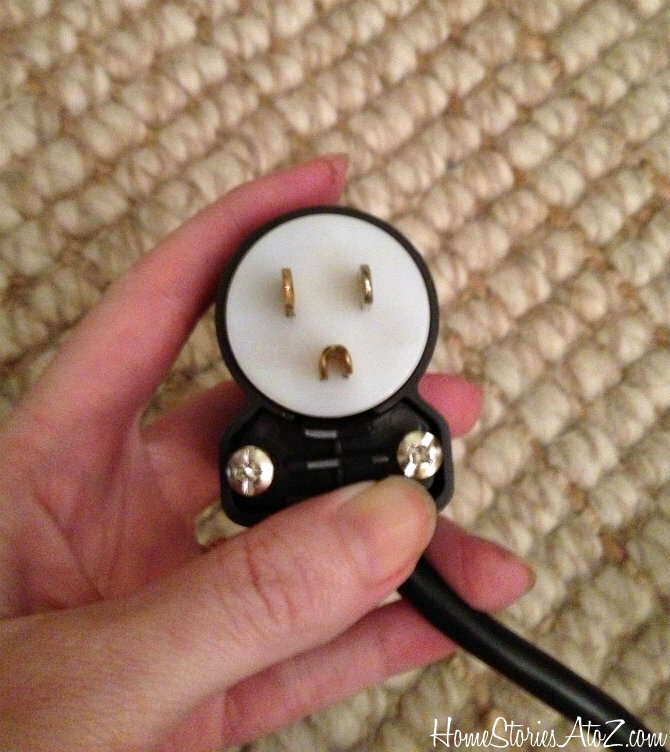 Step 7: Place the insert back into the plug cover and screw in place. Ta da! 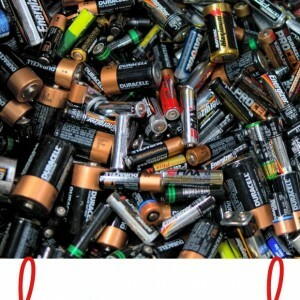 You have just replaced a plug! 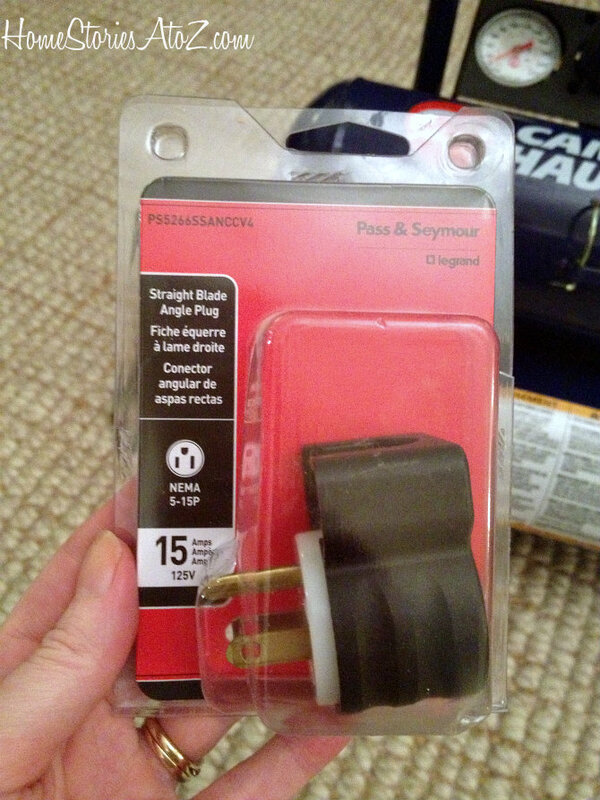 Now you can go forth and continue enjoying that appliance or extension cord. 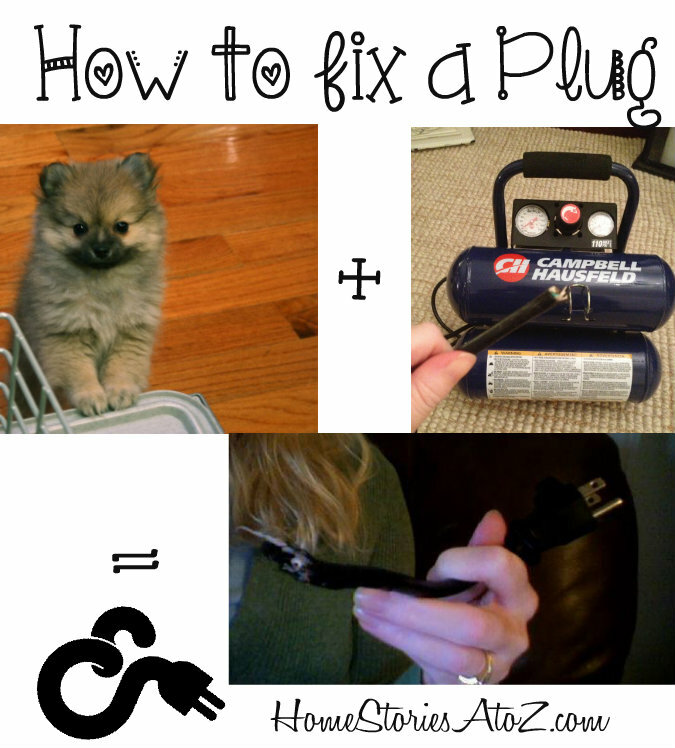 Just be sure to watch out for cord-hungry Pomeranian puppies on your way :). Sounds like Bill is getting some competition in the fix-it business 🙂 Go for it! Nice job Beth! Thanks for that very helpful tutorial. Now you can get back to using your nailer. That Pomeranian pup is just too cute! 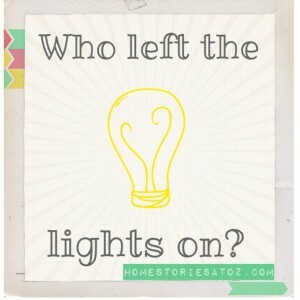 But a little mischevious, apparently 🙂 Our 3 cats have not chewed through any electrical cords, but have consumed things not intended by nature, such as shoes laces, tassels, and the top of my sports bra! I have to keep everything out of their reach:) Have a nice day, Beth, and thank you for this very helpful tutorial. Our dog did the same thing to a new fan and it was plugged in and running at the time. Made her jump for sure. She bit clear through inches away from where the cord enters the fan, so I’m thinking there no hope for it since there wouldn’t be any cord left if I cut it off.